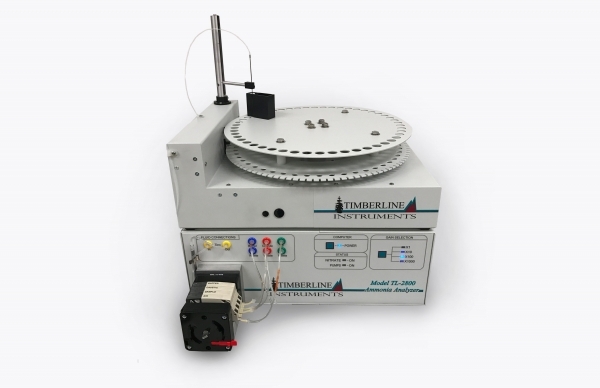 The Timberline TL-105 is a multi-feature HPLC column heater designed to meet the needs of busy chromatography labs. 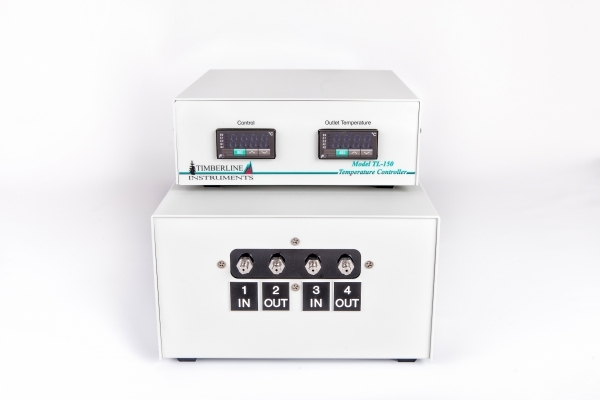 The TL-105’s microprocessor controlled heating creates stable and accurate temperature control to provide reproducible retention times and stable baselines for temperature sensitive detectors such as refractometers, electrochemical, and conductivity. Increasing column temperatures reduces peak tailing due to surface silanol interactions, improves efficiency, reduces backpressure, and prevents column contamination. The TL-105/TL-105 D bench top column heaters utilize our proprietary heat exchanger technology which reduces temperature gradients within the column, improving chromatographic efficiency. 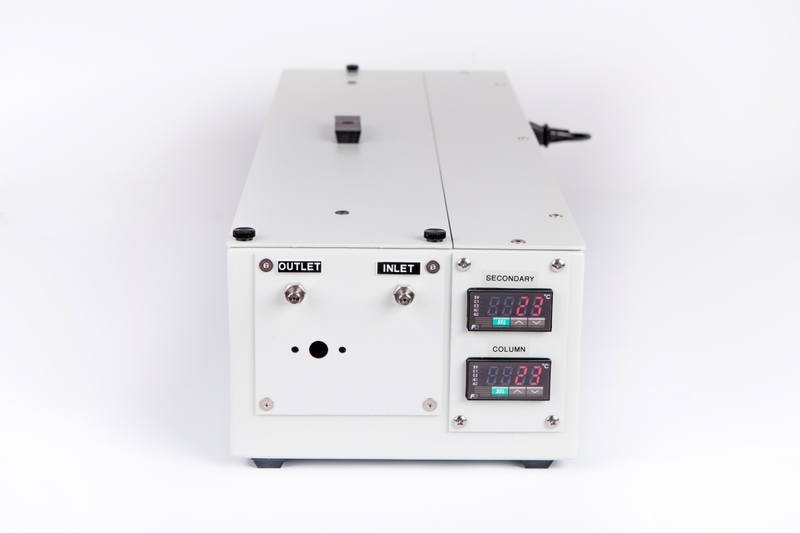 This HPLC fluid heater can control temperature from ambient +5 to 100℃. High temperature versions to control up to 150℃ are available. An optional injection or switching valve can be mounted in the heated compartment. The column, preheater, and installed valves in the heated cavity are easily accessed through an insulated cover held in place on the top of the unit with thumbscrews. Inadvertent solvent leaks are directed away from heater electronics via a drain tube in the heated compartment connected to a bulkhead fitting on back of unit. 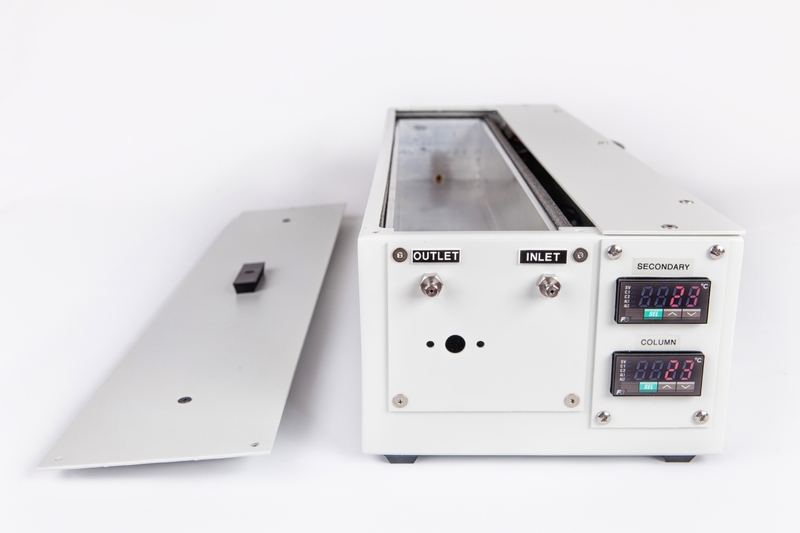 The extra-large heated cavity accommodates multiple analytical or semi-preparative HPLC columns that can be stacked into the 2.75″ (70mm) deep cavity. Heated cavities are available from 17.5” (44.5cm) to 23.0” (58.5cm) in length. For higher flow rates, Timberline offers a TL-105-D Column Heater with Dual Temperature Control, which allows for independent temperature control of both the column and the mobile phase. For pricing info, click here. For pricing, information such as your column dimensions and maximum flow rate, will help us to quote the best system for your application. Please fill out a Request a Quote form, which includes this information, to help us give you an accurate price based off the instrument you want. 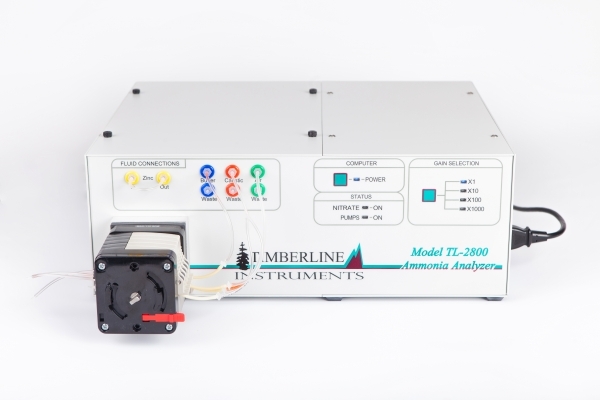 You can also contact us directly via info@timberlineinstruments.com or 800.777.5996. If you are unsure of which fluid heater (column or mobile phase heater) you need, visit our fluid heater guide for suggestions.